All S.P.I. Transport Systems, Inc. drivers are registered and undergo continual safety education to remain compliant with new and changing laws. As government regulations improve to provide best industry practice, we work hard to remain apprised of changing FMCSA and other relevant regulations. Maintaining compliance with any and all regulations pertinent to customers ensures safe and long-lasting business relationships. S.P.I Transport Systems, Inc. works with many major corporations and small business owners to help move toward a lasting and mutually profitable future. S.P.I. Transport Systems, Inc. has its own in house permitting department and, combined with extensive knowledge of Local & National routing requirements, our team will do our best, so your shipment arrives free of damage. We are dedicated to continuing our record of on time service and customer satisfaction. 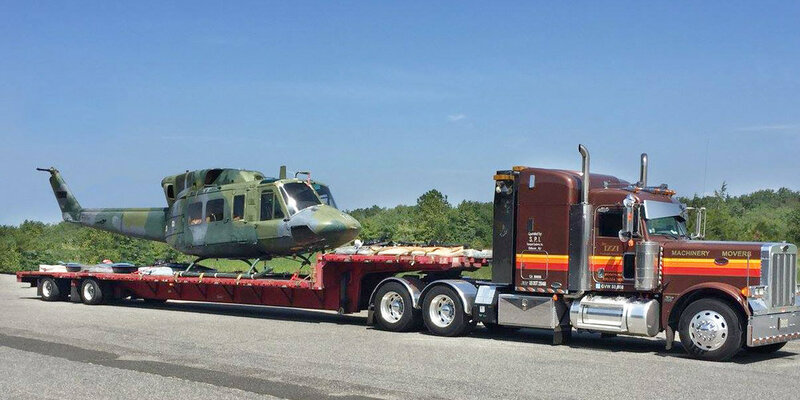 Selecting a specialized carrier for an out-of-gauge or other specialized shipment has many requirements — cost, timing, reliability, safety, equipment availability, and other unique needs. S.P.I. Transport Systems, Inc. excels at achieving the best possible results with these in mind. Our professional staff is ready to step in and help you succeed with your next transportation challenge. With over 40 years in the business of transportation, we will assist you with all facets of your move from logistics, load planning, permits and escorts, all the way through to final delivery. The Izzi Group is proud to have some of the best equipment to serve every transportation need. As an ISO 9001-2015 registered trucking company, we offer a wide variety of trailers and services to accommodate customers and get the job done right. We will never take a “one-size-fits-all” approach. On top of that, each of our trucks is equipped with satellite tracking systems, so you never have to worry about the quality of our trucks and trailers. Less risk of damage – Let’s say that you need to move a particular load on a one-off or a short-term basis. More specifically, though, the load includes prefabricated sections for construction projects. The reality is your company can’t afford for any supplies to be damaged en route. With heavy hauling from The Izzi Group, there’s no need to worry about your cargo getting damaged. Our team takes precautionary measures to ensure that high-dollar freight is secured and safe from the time of pickup all the way through drop-off. Our professional logistic and route planning team will handle all the aspects of the transportation of your heavy haul or over dimensional requests. The best transportation providers of any kind maintain an incredibly high level of customer service. Unfortunately, many heavy haul trucking companies fail to do so. That’s not how we conduct business at the Izzi Group. Our dispatch office can update customers at a moment’s notice upon request or in the event of changes to agreed delivery schedules. This allows your business the flexibility it needs to complete the project accordingly. Professional Staff Trained with Years of Experience. Logistics management - We’re willing to bet there’s more on your plate besides putting the trucking plan into action. You can feel comfortable knowing the company will perform all formalities and legalities on your behalf. Simply get in touch with them and let them know about the destination. The experts will take it from there. Heavy Haul over dimensional trucking is undoubtedly a big part of what we do. But it’s not the only thing. 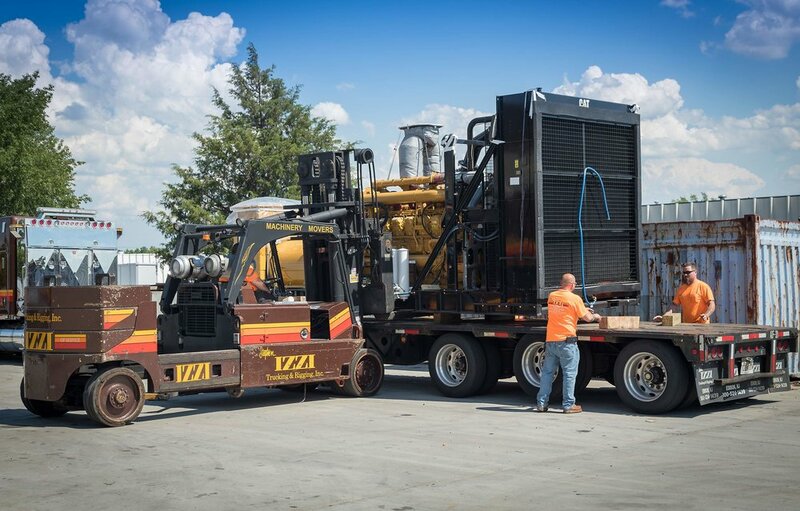 The Izzi Group offers a number of specialized services such as rigging, machinery moving, turnkey relocations, and more. Take rigging and machinery moving, for example. Our team can do it all, from millwright work and skidding to crane, gantry, light, and heavy forklift work.